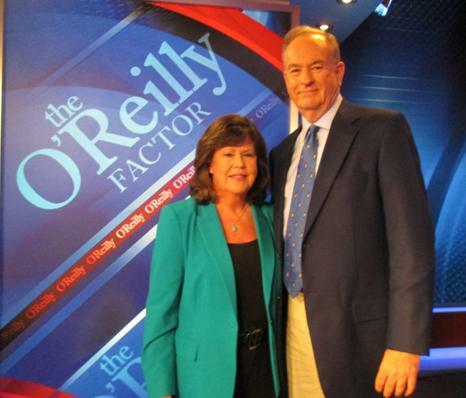 NORWALK — Viewers of the Fox News Channel O’Reilly Factor will see a familiar face on next week as anti-drug crusader Ginger Katz will join Bill O’Reilly to address the topic of reducing sentencing guidelines for drug dealers. The topic remains close to Katz’s heart. Katz founded The Courage to Speak Foundation in 1996, shortly after she and her husband Larry Katz lost their 20-year-old son Ian to a drug overdose. Since then, The Courage to Speak Foundation has been dedicated to fulfilling a promise Ginger made, promising to do everything in her power to prevent this tragedy from happening to another family. Appearing in a seven minute segment on O’Reilly’s show with a mother from California who also lost a child to drugs, Katz researched and prepared to present her story to an audience of up to five million viewers. The letter that spurred the current debate was sent to President Obama and signed by 175 celebrities, athletes, and officials asking the President to evaluate what they called punitive drug laws. “You either love Bill O’Reilly or you don’t,” said Katz. In this riveting and thought-provoking Presentation, nationally renowned speaker, Ginger Katz, shares the story of her son Ian’s losing battle with drugs. Through her Presentation, students and parents begin to recognize the telltale signs of alcohol and other drug use and the veils behind which those signs hide: anger, denial, fear, pain and deception. To book a Presentation email gkatz@couragetospeak.org or call 1 (877) 431-3295 or CLICK HERE to book online.